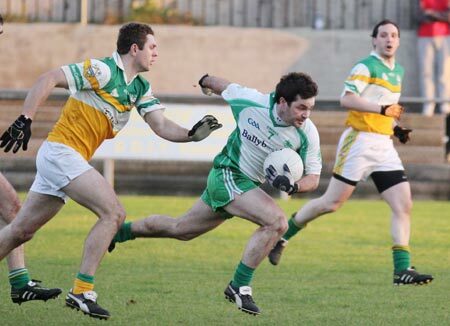 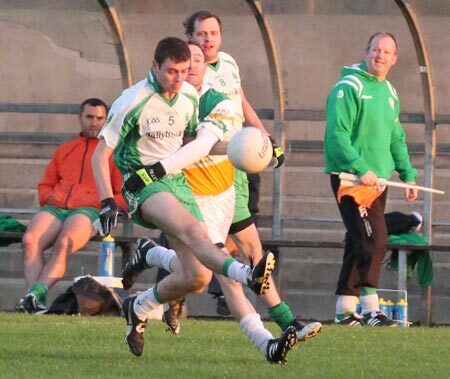 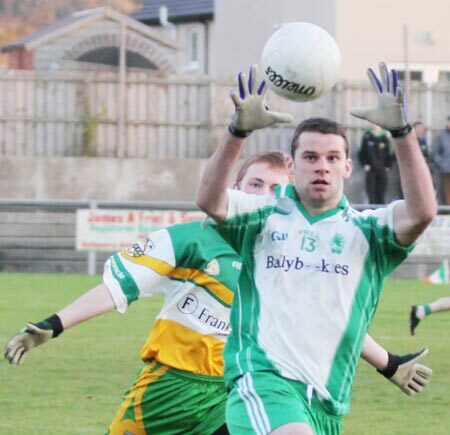 Buncrana earned themselves a very important win over a weakened Aodh Ruadh side at home at The Scarvey on Saturday evening. 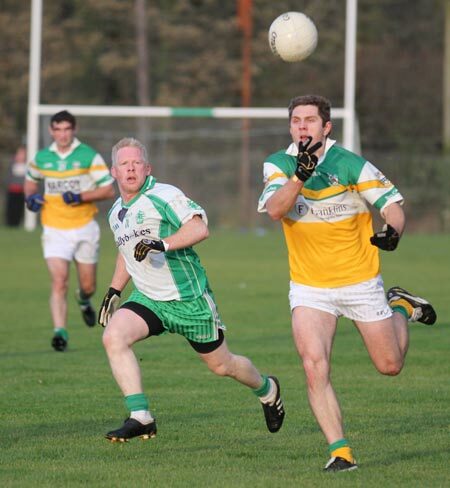 Despite playing against the breeze in the first half, the home side got off to a very strong start with Ryan McMyler scoring three points from play. 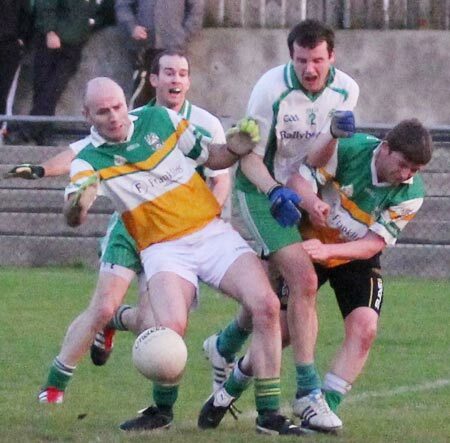 Buncrana were leading 0-6 to 0-3 when Adrian McColgan went on a great run to score a good individual goal just before the half-time whistle. 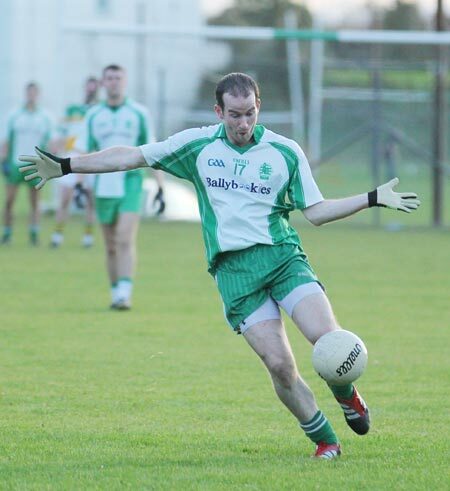 Now playing with the breeze Buncrana came right out of the blocks in the second half with Kevin O'Loughlin scoring the first point for his side, quickly followed by two further points thanks to full forward Gerard McLaughlin. 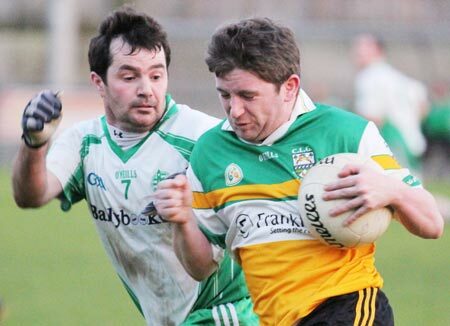 There were further scores from Odhran Doherty and Buncrana's Donegal senior panellist Ryan Bradley, but Bradley was unfortunate enough to also give away a penalty in the dying minutes of the game which was saved by Noel O'Donnell. 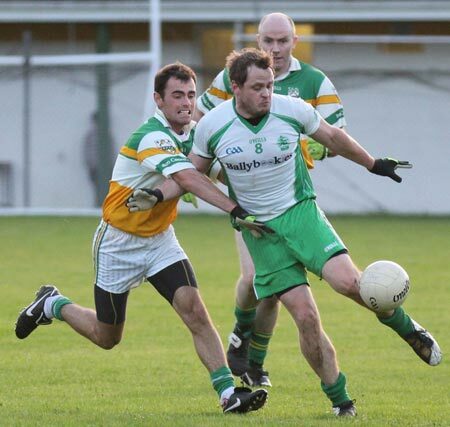 Despite the loss, Ballyshannon's Aodh Ruadh are still very much in contention for promotion to Division 2 next year, while it will come down to play-offs to see who else will be promoted. 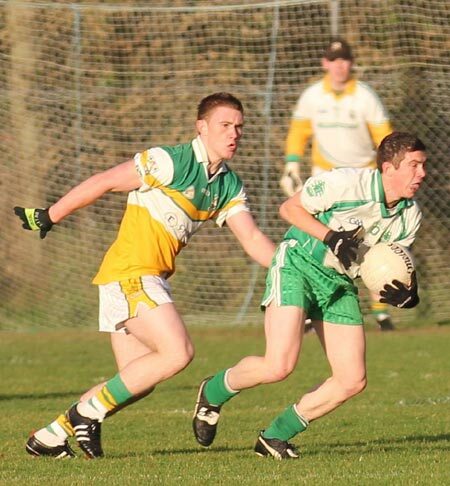 Best for Aodh Ruadh were James O'Donnell and Kerry Ryan who both tried hard at midfield. 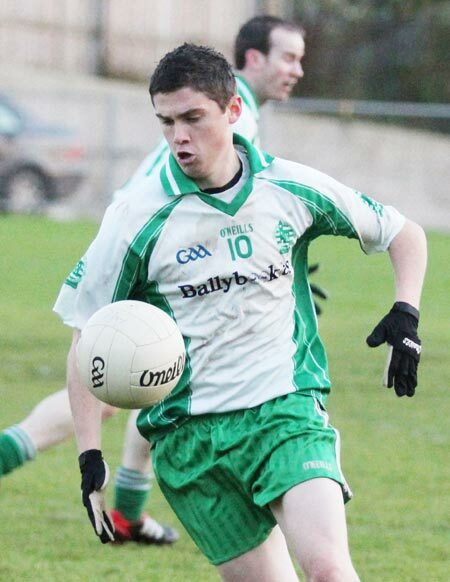 Noel O'Donnell; Calvin Jones, McGroary, Ronan Doherty; Adrian McColgan, Caolan McCann, Simon Cuffe; Ryan Bradley, Odhran Doherty; Oisin Doherty, Paul McGonagle, Kevin O'Loughlin; Paddy McMyler, Gerard McLaughlin, Ronan Doherty. 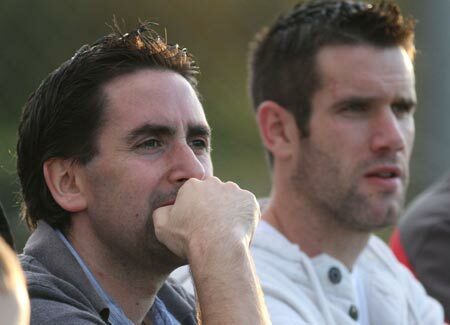 Substitutes used: Philip Scott, Stephen McGonagle, Dean McFadden. 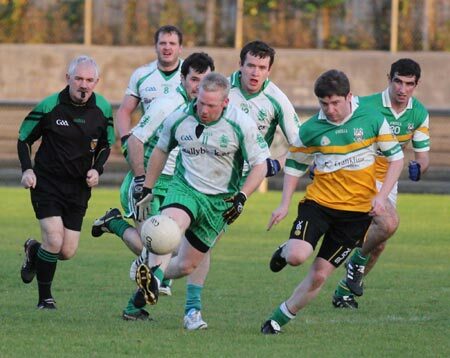 Peter Boyle; Peter Boyle, Niall McCready, Ciron Whoriskey, Philip O'Reilly; Ronan McGurrin, Conor Patton, Johnny Gallagher; Kerry Ryan, James O'Donnell; PJ McGee, Brian Roper, Donagh McIntyre; Anthony Boyle, Turlough McIntyre, David Dolan.